The San Diego County Office of Education asked for the investigation and signed the agreement with the state on Thursday. The audit is expected to take about two months to complete and cost the county office an estimated $26,000, though it can seek reimbursement from the state for the expense. The agreement limits the audit’s scope to payments made to two former administrators, Superintendent Julio Fonseca and Deputy Superintendent Jose Arturo Sanchez-Macias, who briefly served as interim superintendent after Fonseca resigned. The auditors will review payroll records as well as vacation payments and expense reimbursements made to the two former administrators, according to the agreement. Investigators also will interview district staff members. The final audit report will go to the county schools superintendent. Fine said the report can have one of two outcomes. “Either there is sufficient evidence that there may be fraud, misuse of funds or other illegal practices,” he said, or there isn’t. If wrongdoing is suspected, San Diego County Schools Superintendent Paul Gothold will present the report to the San Ysidro school board and submit it to the District Attorney’s Office and the state. The district’s recently hired interim Superintendent Mary Willis said she welcomes the scrutiny. Willis said she hopes board members’ calls for an independent audit of the district will be satisfied by the state investigation. “From there, if the board wants a more thorough or intensive investigation, then they absolutely can review it,” she said. The question about payments to the district’s top administrators began after Fonseca resigned on Sept. 1 following the school board unanimously approving a $376,000 severance package for him. An inewsource investigation found that when that package was combined with Fonseca’s salary and other financial perks he made at least $1 million for the 26 months he worked for the district. That averaged out to make him the highest paid superintendent in the county and the second highest paid in the state. Sanchez-Macias took over as interim superintendent but resigned at a special board meeting on Nov. 3. Two days earlier, school board member Rodolfo Linares accused Fonseca and Sanchez-Macias of financial misdeeds, saying they cashed out more vacation days than allowed in their contracts. He said the school board also was misled about life insurance benefits it approved for the two. The San Ysidro district is one of the the poorest school districts in the county and serves about 4,800 elementary and middle school students in south San Diego. 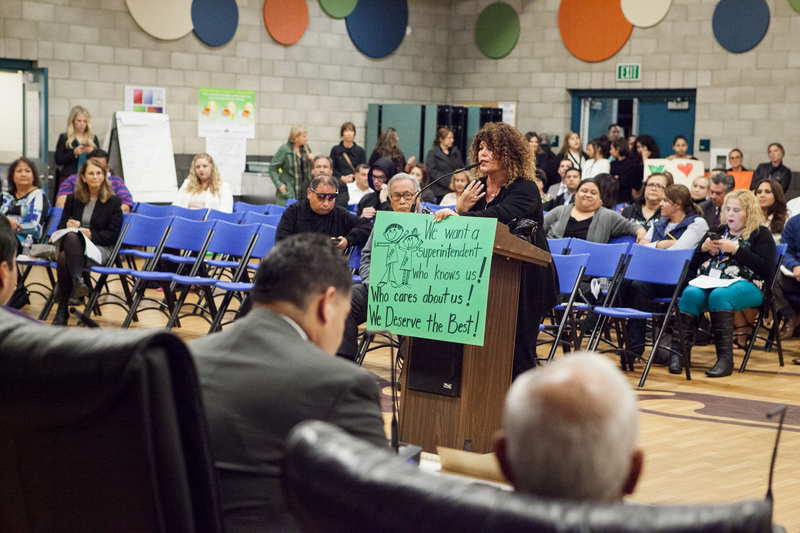 Willis, a Los Angeles-area educator, was hired this month as interim superintendent. She will be paid $1,000 a day, not to exceed $42,000, while the board looks for a permanent replacement. She is the district’s fifth interim superintendent since Manuel Paul resigned as the district’s top administrator in 2013 before pleading guilty in federal court as part of a pay-to-play scheme involving the awarding of district contracts.